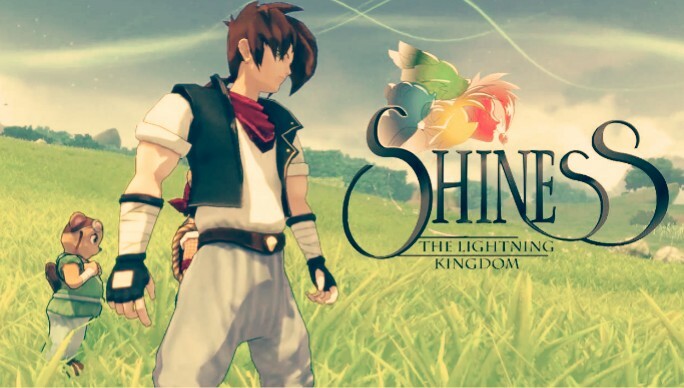 Home / Game Update / Shiness: the lightning Kingdom game out on pre-order. Shiness: the lightning Kingdom game out on pre-order. Shiness: The Lightning Kingdom game Is Now Available For Digital Pre-order And Pre-download. Players may now pre-download the game, but it will not be playable until 12:01 AM EST on the release date 04/18/2017 (what's the essence? i rather wait). Shiness is an action-RPG that takes you on a journey across a universe on the verge of collapse. You will Join Chado and his companions on their flying space ship, as they travel between celestial islands in the wake of the wildly ravaged planet Maher. After crash-landing on a hostile island, you quickly find yourself in the middle of a conflict spanning multiple kingdoms. In Shiness: The Lightning Kingdom gameplay you are meant to initiate a face off against dangerous enemies in hyper-dynamic fights, mixing magic with traditional fighting game mechanics.